We are professional window installers and we offer the best selection of quality windows you can find in Hancock Park. If you need window replacement in Hancock Park, look no further. Our professional staff will work closely with you to discover the best window replacement options as well as develop a plan and execute to perfection. You can trust our team with many years of experience specializing in fine window replacement projects for both residential and commercial properties. Give us a call and we will match you up with service professional for your specific needs. He or she will walk you through ever step of your project and will be your point of contact and answer all your questions. You’ll fall in love with you new Milgard Tuscany Glass windows that brighten up any rooms in your property. We are your window specialists, give us a call today! Are you concerned about the cost of replacing windows? Or are you worried that a construction project will cause confusion and messiness in your space? You might be surprised to learn that Windows replacement in Hancock Park can be incredibly affordable. Our team make it our goal to work out the most affordable plan for each property that fits your needs and budget. We also go above and beyond the call of duty to ensure that each project is completed on time and we even clean up all the construction debris including old windows. Further, your new Milgard Tuscany Glass windows are designed to be energy efficient, so they will save you money in the long run. Many of our clients are amazed that they save hundreds if not thousands of dollars on utility bills after window replacement for years to come. Why wait? Get your windows replaced as soon as possible to avoid overpaying sky-high utility bills. Schedule an appointment with us to have us take a look at your property, and we will give you a quick estimate of your window replacement project. Depending on the specific style of windows you select, you can customize your look to suit any decoration style. Our windows truly stand out among the rest as time tested and customer approved. Not only are they easy to clean and maintain, they also come with a full lifetime warranty. They offer even sightlines to give your interior a streamline modern look. They also come with SmartTouch® lock to fully secure your property against break-ins and theft. The energy efficient design keeps your property warm in the winter and cool in the summer. It’s no wonder our windows are one of the highest rated in numerous customer reviews. 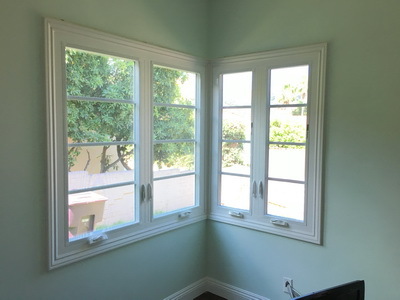 Every property can benefit from stylish Windows Replacement in Highland Park that provide comfort, beauty, security, and energy savings at the same time. If you have been waiting to get your old or faulty windows replaced, give our office a call today and find out what we can do for you. Our friendly customer service staff is standing by to take appointment requests. Beyond our superior windows, our company is known for our high quality customer service and attention to detail. We go the extra mile to ensure every one of our customers are fully satisfied with their final project result. We pride ourselves creating beautiful environments for our clients one home or office at a time. Contact us today and see for yourself the level of quality service you can expect from us.